The much-awaited trailer for Dennis Villeneuve’s Blade Runner 2049 is trending on YouTube over the past hours. The trailer has managed to garner attention for its clashing visuals and storyline. The first preview of the trailer was earlier revealed in May and this one was supposed to be officially released yesterday. Blade Runner 2049 is a sequel to the first movie titled ‘Blade Runner’ 1982 which portrayed a world of impending doom of humanity. The trailer jumps quickly from scenes and dialogues between the characters, depicting the fast paced theme once again. Set in the future after 30 years, the film has made some obvious changes with the locations and characters. There are several shots in the movie that at the book plot with its background colour and visual imagery but overall it still aims to be mysterious. The trailer does play with the original film’s mysteries and hints at a much more complex storyline. Overall a dying race of humanity can be saved under certain circumstances. 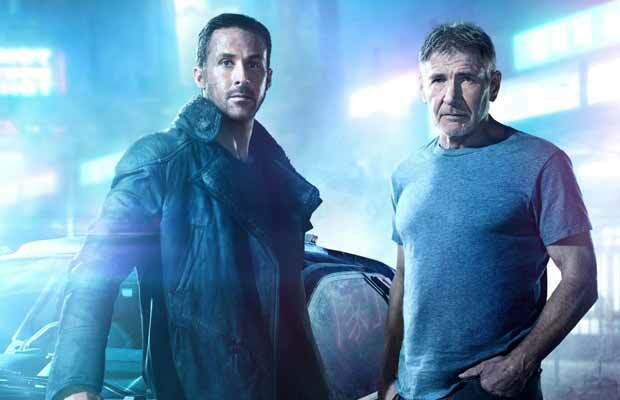 Following the footsteps of the previous film’s lead hero Harrison Ford, Hollywood star Ryan Gosling plays the role of a cop with Harrison supporting him from the sides. Harrison Ford (Rick Deckard) was considered missing till LAPD Officer K (Ryan) finds him and moves on to search for the bad guys. Dave Bautista has more dialogues in this trailer which end up revealing his replicant nature to Ryan who is the current Blade Runner. The trailer has easily perked our interest for the plot and some more futuristic elements in the movie. “Blade Runner 2049” comes to theatres on Oct. 6 later this year. Watch Video : Shah Rukh Khan’s Daughter Suhana Khan Looks Gorgeous! Next articleIIFA 2017: Sushant Singh Rajput Threw A Big Tantrum To Get A Room Next To Kriti Sanon’s?